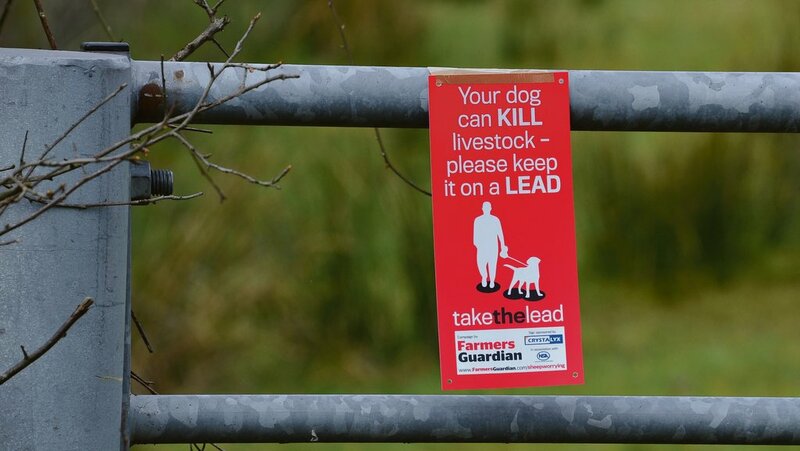 Under the new rules, which were set out in the Government’s response to the Sustainable Management of Natural Resources consultation, dogs would need to be placed on a ‘short fixed-length lead’ in the vicinity of livestock at all times of year. John Davies, president of NFU Cymru, has written to the Minister responsible for the changes, Hannah Blythyn, to ask for clarification on how the rules would work. “They may be welcomed by our members, but much further detailed work will be required with stakeholders ahead of any legislative changes,” he said. Other new proposals from the Welsh Government include introducing an assumption of non-motorised multi-use on access land and the public rights of way network to provide more opportunities for cyclists and horse riders to enjoy the outdoors. The aim is to reduce obesity and mental health problems, but NFU Cymru has raised concerns about ‘thrill-seekers’ being granted increased rights on farmland across Wales. The union’s rural affairs board chairman Hedd Pugh said: “It is important to recognise access is not always responsible and it is farm businesses across Wales who bear a disproportionate burden of this. “The proposals also do little to address farmers’ fears they could end up incurring increased costs and liabilities as a result of extended access. The Welsh Government now intends to set up an independent Access Reform Group to develop the proposals. Mr Davies told Farmers Guardian he had highlighted the need for farmers to be properly represented on the group. “Farmers manage over 80 per cent of the land area in Wales and are, therefore, key access providers,” he said.